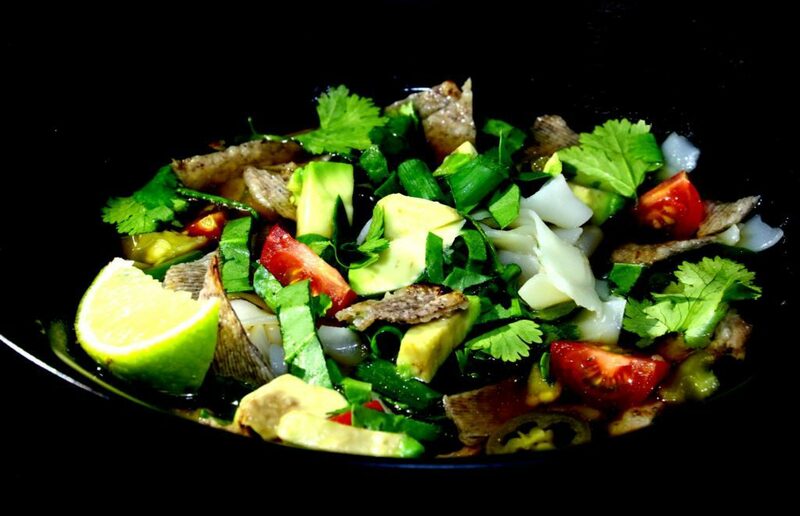 My Fragrant Mexican Keto Pho will have you coming back again and again! This is a fusion that is perfection. 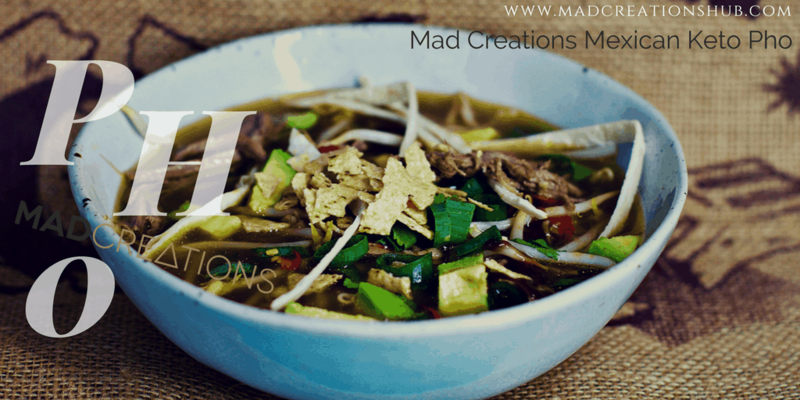 Mexican and Vietnamese, a fabulous broth, fresh and fragrant, and beautiful textures. It is no secret that I love my Mexican food, so why wouldn’t I have a go at making a soup with all the trimmings! 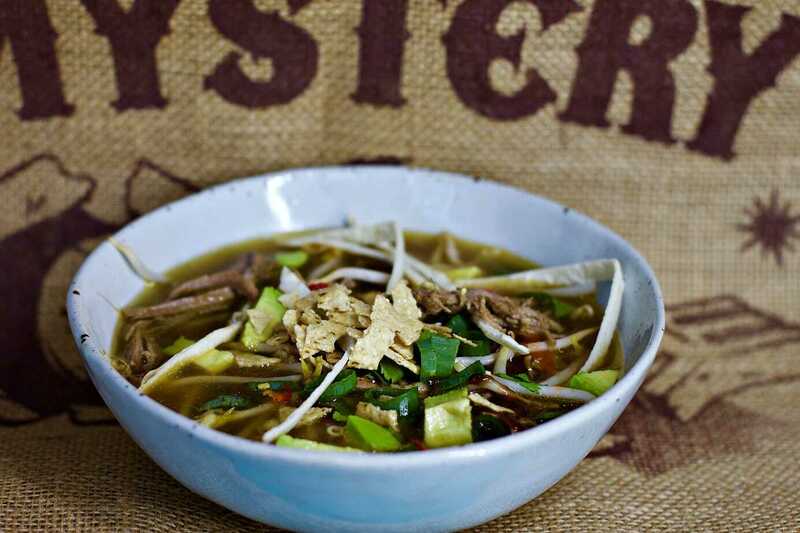 Making a pho just gives that added depth of flavour that gives you a true flavoursome soup that everyone will enjoy. Juts like I have had a play with cultural fusions, a pho can easily be changed to suit your own palate. If you want to make yours with fish, chicken, or vegetarian, all of them work beautifully! Pho originated in Northern Vietnam in the mid 1800s. Pho could be a Vietnamese adaptation of the French soup “pot au feu” a French beef stew. Pho refers to noodles not the actual broth itself, so for my version I had to use some konjak noodles as a keto substitute. In a dish like a pho the konjak or shiratiki noodles work so well. How does one pronounce “Pho” it sounds like fur or fuh. Another variations that cannot be missed is my version of Phorritos! 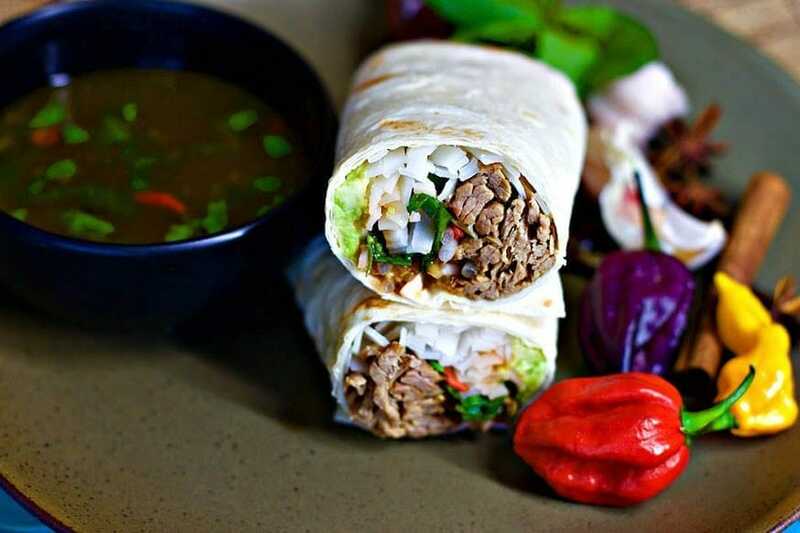 A combination of Mexican and Vietnamese in the form of a Pho Burrito! It sounds amazing and let me tell you even tastes more amazing. Use my recipe for either the Cauliflower Wraps or Piadinas to wrap your phorrito. 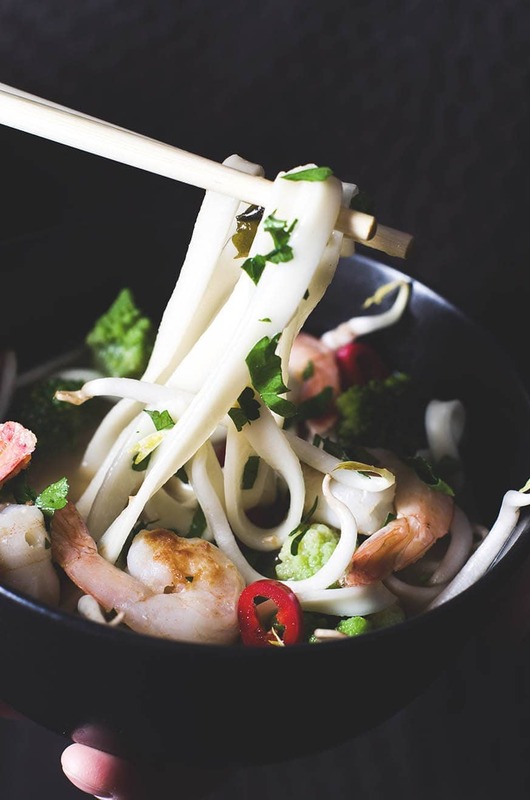 You fill it with some protein and noodles, then fresh garnishes, wrap it and dunk it in a hot bowl of pho broth! So good! Join us on our great community on Facebook below. We love to see your foodie shares, and here how you are tracking on keto. Delicious Mexican Pho in every mouthful. Remove cinnamon and star anise. Reserve for later. Now grill your garlic, onion and garlic under a hot grill, until charred and blackened. This releases an intense flavour that adds to your Pho immensely. Add your spice bag, and charred garlic, ginger, and onion to your saucepan, and simmer for 4 hours[/timer]. Now I would have loved to have cooked this all in the mixer for the whole time, but 2 things stopped me, size of the bowl, and time of the cook. The broth will be finished when it has reduced by half, and the brisket is soft and shreds easily. Strain directly into mixer through the rice basket. Place brisket into board and shred. Discard bones and solids from the broth, other than the brisket. This is where I leave the shredded brisket in the rice basket and keep the whole mixer overnight in the fridge. 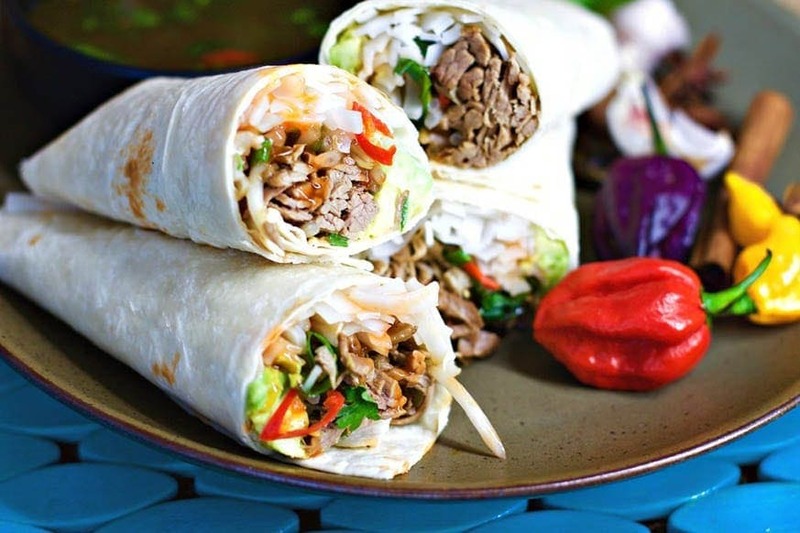 You have to try the Phorritos... so good! This broth can be made ahead and kept in the fridge or freezer. Delicious fresh and fragrant. A beautiful pho!